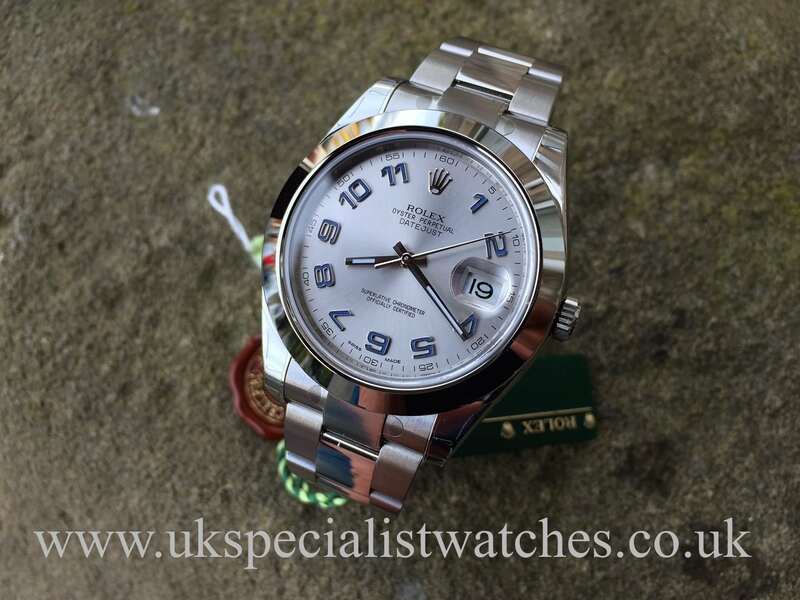 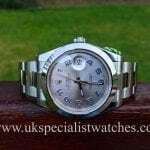 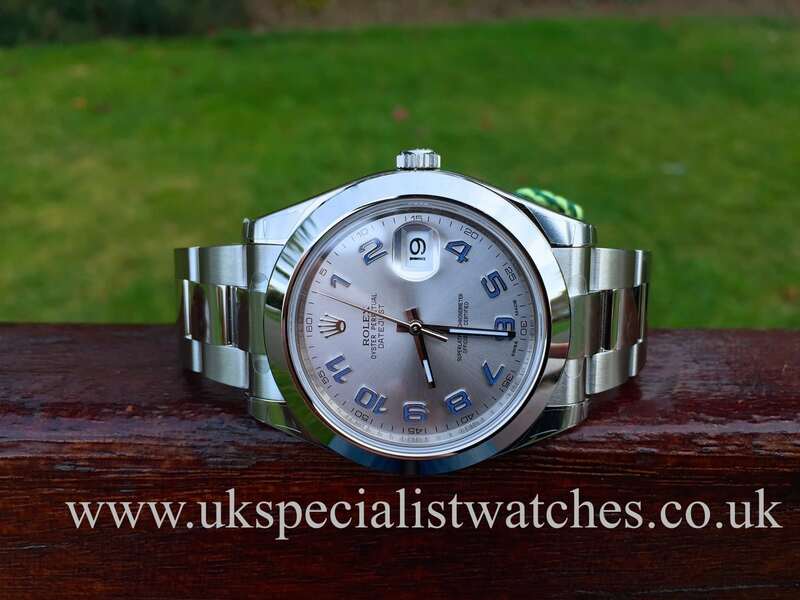 Our stunning brand new and unworn Rolex Datejust 2 with the larger 41mm case and a striking silver dial complemented with blue Arabic numerals. 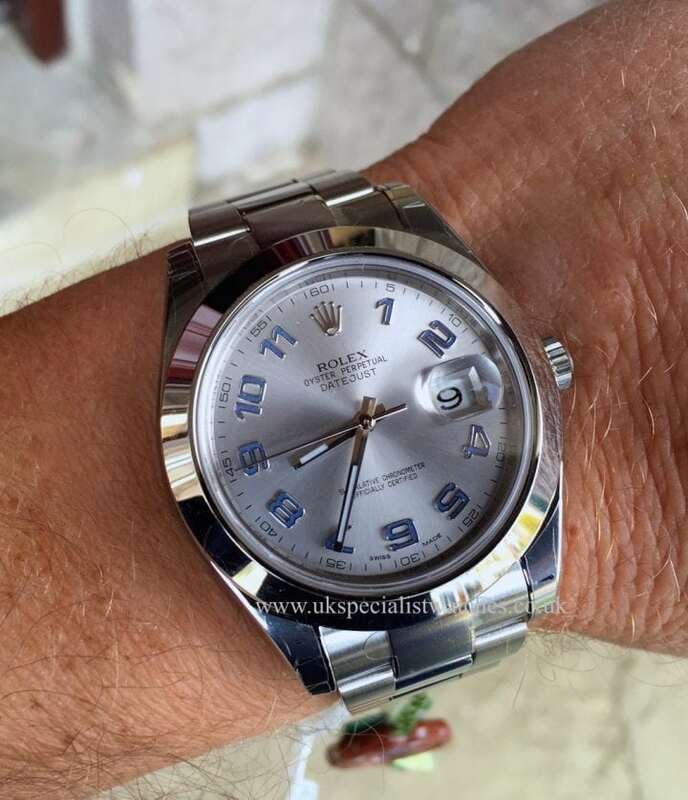 Fitted with a smooth steel bezel and the latest style Oyster 2 bracelet. 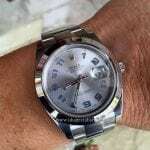 Chronometer rated automatic movement, water resistant to 100m. 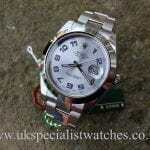 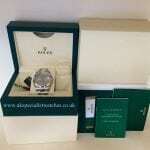 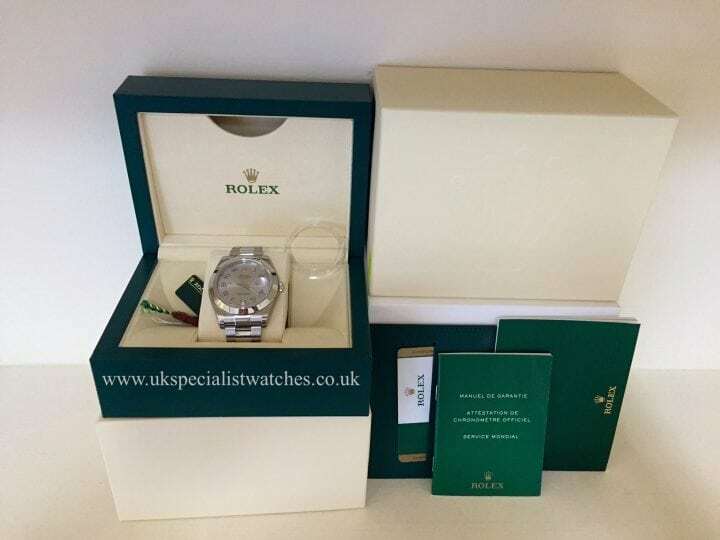 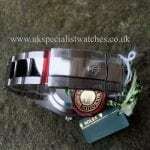 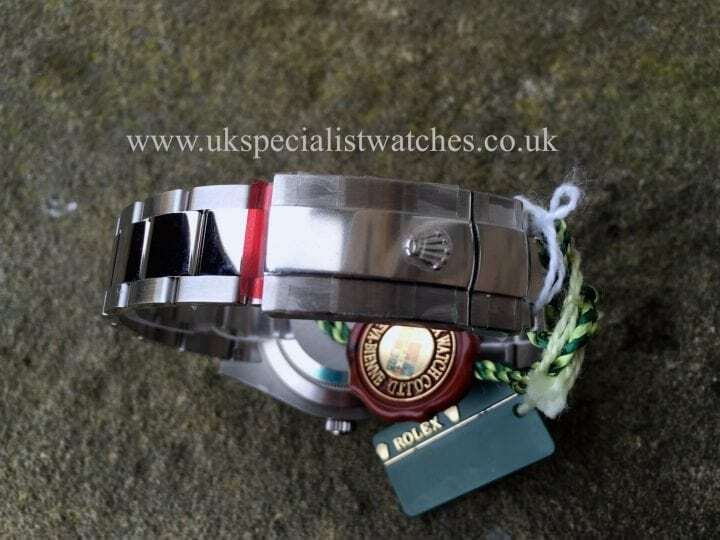 Comes complete with Rolex box, booklets, swing tags and covered under Rolex’s 5 year warranty.